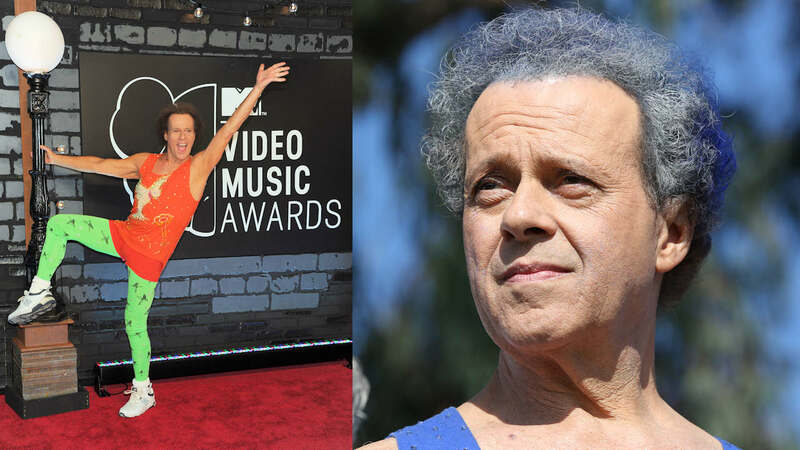 LOS ANGELES -- Richard Simmons is fine, according to a Los Angeles police detective who did a welfare check on the popular fitness guru in recent days. Simmons has been missing from the public eye and is the subject of a popular podcast called "Missing Richard Simmons." The frenzy about Simmons' whereabouts is heating up thanks to the podcast, which is hosted by Dan Taberski, a filmmaker who describes himself as a friend of Simmons. In a recent episode, longtime friend and former masseuse Mauro Oliveira alleged that Simmons was being held hostage by his long time housekeeper, who won't let him out of the house. Simmons' publicist denied the allegations, saying the star simply decided to step back from the spotlight and live a more private life. ABC News confirmed that LAPD did a welfare check. The detective described Simmons as a nice guy, funny, intelligent and articulate, saying Simmons "is just taking some time for himself." The LAPD detective said Simmons could not have been nicer. He's getting older, but he is still in pretty good shape, the detective said. When it comes to the podcast, Simmons' manager Michael Catalano said it is doing more harm than good -- and Simmons is aware of it. "There was nothing about this podcast that made Richard feel good as it refocused the public's attention on lies and misrepresentations," Catalano said. "Richard has been seriously harmed by those looking to make a name for themselves or worse, looking to cash in." Catalano added further criticism of the podcast. "The podcast has not revealed one bit of new information and it has given voice to unreliable sources and everything reported here is at least a year old or more," Catalano said. "It is not only full of fake news, it's full of old news."